It is Saturday night and to me that means movie night. These days it is most often an ‘at home’ movie on DVD rather than a cinema experience. Apart from a special trip to The Rex, I don’t like going to the odious Odeon or the cynical Cineworld; over priced tickets for a standard chair, sticky carpets covered in popcorn, noisy customers, and no bar! 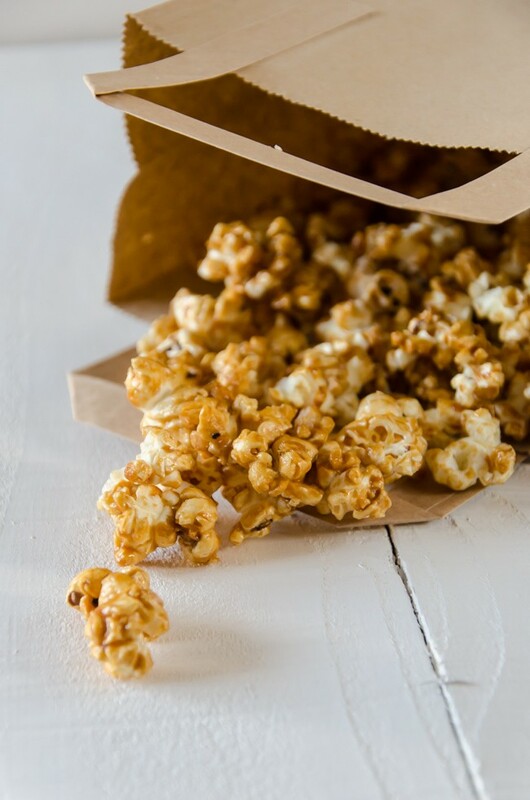 Not nearly as pleasant as our own sofa, glass of wine in hand and a bowl of this delicious popcorn. I guess this is why our DVD collection would rival that of a well stocked rental shop! By the way, if you haven’t been to The Rex, you really MUST! 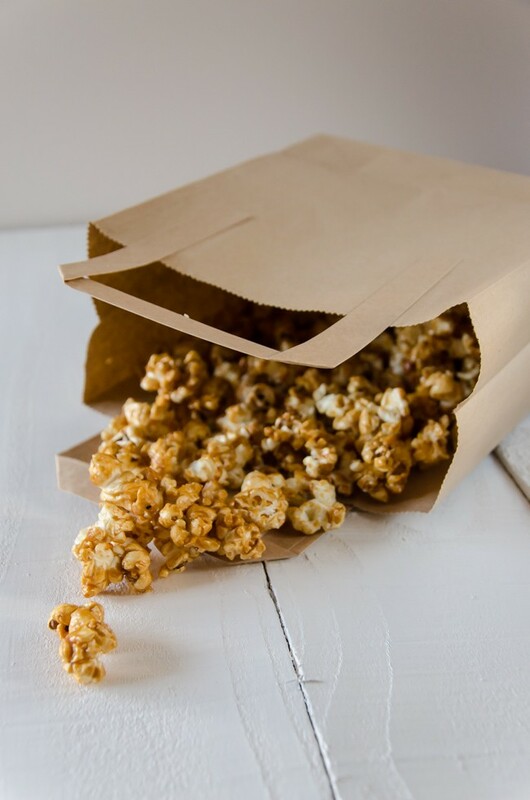 Make a batch of popcorn, either old fashioned in a pan or a bag of plain microwave popcorn. Oil a large baking tray and tip over the popcorn, discarding any unpopped kernels. Preheat the oven to fan 160 ºC. Melt the butter, sugar and syrup in a small pan, stir until melted and then boil for 4 minutes. Pour this sauce over the popcorn and toss with 2 spoons (it will be VERY hot and cause burns) until the popcorn is coated or the sauce goes stiff. Pu the tossed popcorn in the preheated oven for 5 minutes. Take out and toss again, sprinkle over the salt and cook for another 5 minutes. Repeat again if the popcorn isn’t evenly coated. Leave to cool for 10 minutes before attempting to eat – otherwise you WILL burn your mouth!